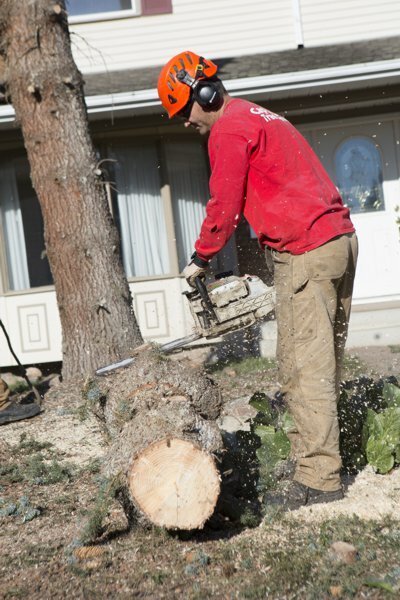 We are experts when it comes to taking care of all your tree needs, so you can feel confident that Capital City Tree Service can handle any of the following services. Pruning is one of the most important aspects of tree and plant care, as it makes certain that your plants and trees look beautiful and maintain their health. This is done by removing the weak, dead, storm damaged, diseased, or interfering branches. 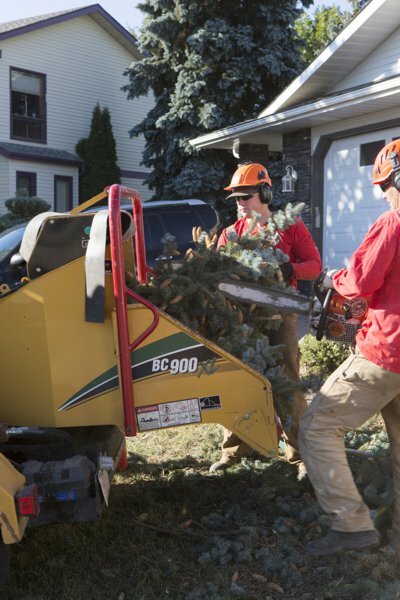 Furthermore, pruning can provide directional growth patterns for new trees, minimize the risk of storm damage, provide clearance for streets, sidewalks, driveways, structures and overhead lines. We do perform chipping of your brush piles, under the following conditions: Piles can not be more than one-month-old, due to the likelihood of mold growing; they must be clean of dirt and any other foreign matter; must be piled neatly with all the cut ends pointing in one direction; and must be stacked where we can drive right up to them with the chipper. Our Wood Mulch is actually a product of tree removal, containing parts of the whole tree, including everything from stump grinding mulch to chipped leaves and branches resulting in chips 1”- 5” long. It all turns a uniform light brown color a couple of weeks after being spread out. Highly desired by acreage owners for mulch to spread out. Wood Mulch may be purchased for delivery within or just outside Edmonton city limits only, for a $25 donation toward fuel expenses. Each load is 8-10 cubic yards. Please email your details, including address, phone numbers, and number of loads desired, along with the exact location on the lot for dumping. Please NEVER let any tree contractor on your property who is not FULLY insured. You, as the home owner, could be on the hook for all damages and injuries. All estimates are guaranteed NO SURPRISES and NO OBLIGATION. We pride ourselves on providing clear, competitive and pressure free quotes. We would love to hear from you, call us today. 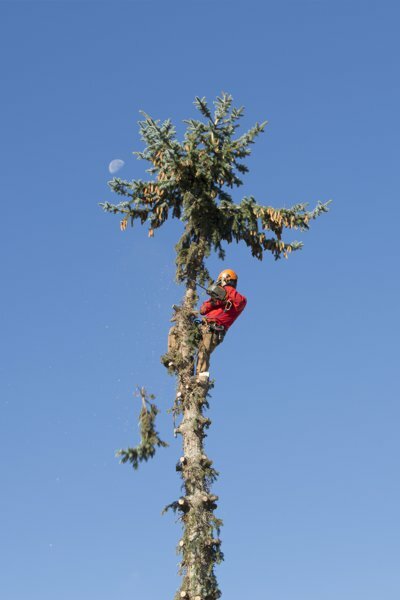 Located in St Albert, Alberta, Capital City Tree Service are experts when it comes to taking care of all your tree needs. We have a highly trained team of professionals who know how to keep your trees and bushes in their best condition. We love our work and get some cool photos while we do it. Follow us to see these galleries or get new information about our services.